Your career path isn’t going to be linear. I’ve always believed that and know firsthand because mine wasn’t traditional or linear by any means. I’ve never mapped out my career or felt the need to define what my long-term career should look like, and I think the idea that you don’t have to have it all figured out, or any of it figured out, has allowed me to take a lot of thoughtful risks in pursuit of what I’m most interested in doing. 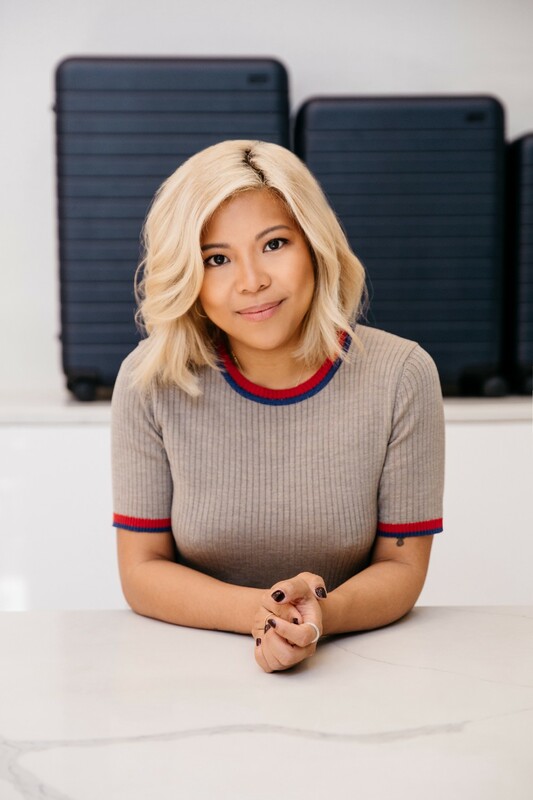 I had the pleasure of interviewing: Steph Korey, co-founder and CEO, and Jen Rubio, co-founder and Chief Brand Officer, of Away, a global travel brand designing thoughtful objects to make travel more seamless. STEPH: I have always been passionate about the way great leaders can motivate a great team. I even went so far as to study management while I was pursuing my MBA at Columbia University so I could hone in on those interests and obtain the soft skills I knew would be valuable to me later in my career. Before Columbia, I worked at Warby Parker as Head of Supply Chain, overseeing operations, product development, and manufacturing, and later consulted for Casper working on the supply chain side of their business as well. In both experiences, I was able to see how a direct-to-consumer model had the power to shake up an entire industry, and those experiences became invaluable when my co-founder, Jen, and I started Away a few years later. JEN: I’ve always been interested in the relationship between brands and consumers, and the ways that brands approach storytelling to build communities and create an emotional connection with people. I built my career taking on roles that allowed me to do that, and to follow the things I’ve genuinely been interested in along the way. I joined Warby Parker as Head of Social Media. Steph and I met on our first day, and although we were on different sides of the business, we quickly formed a great working relationship and continued to stay close when she went to Columbia and I moved to London to join AllSaints as Head of Innovation. JEN: The idea for Away came from a personal pain point. My suitcase broke while I was at the airport, and none of my most well-traveled friends had any recommendations. I called Steph shortly after. We did some digging into the luggage industry and found that luggage was either cheap but poorly made, or it was more expensive than the trip you were taking it on. It also struck me that, although luggage was something you take on every trip, it was a complete afterthought for people; there were no brands that people were genuinely excited to associate with. Before Away, luggage brands were talking about the features of their cases (zippers and wheels), but none were talking about travel. We saw an opportunity to tell a more compelling story about travel, one that got people excited about what they could do with their luggage and where they could go with it. STEPH: The more research we did, the more we realized how inherently broken the luggage industry, and the travel experience more broadly, was! Luggage wasn’t designed to respond to how people actually traveled, and because manufacturers wholesale their products to large retailers, retailers were selling them to customers at significantly marked up prices. We recognized an opportunity from both a brand and supply chain perspective to create a premium product at an unprecedented price point, and given my and Jen’s background, we saw how the direct-to-consumer model could shake up an industry that was once an afterthought for people, just like eyeglasses. About a year after Jen called me, Away’s first product, The Carry-On, shipped in February 2016. JEN: From the beginning, we’ve always known that we wanted to create a travel brand, not just a luggage company. We’re working to create the perfect version of everything people need to travel more seamlessly, so luggage is only the beginning. Our goal has been to create a brand that inspires people to plan their next trip, and for Away to help them do. In just over two years we have: expanded our product line to create a complete luggage set and other travel accessories; created an in-house media division with a print and digital magazine, Here, and a podcast so that we can tell great stories in a way that traditional travel journalism hadn’t been before; opened several retail locations with plans to open several more in the future; built a team of more than 200 people; expanded internationally; and sold more than 500,000 suitcases. STEPH: We’re building a best-in-class team at Away where people are empowered to do their best work and creating a culture that welcomes unique perspectives and encourages diversity of thought. Everyone at the company, regardless of seniority, has a seat at the table. We credit our success to the incredible team we’ve built and the thoughtful ways we work together. STEPH: I worked really closely with the leadership team at Warby Parker while I was there, and I’ve been so inspired by what they’ve accomplished. Since Jen and I started Away, they’ve been incredibly supportive and continue to be great mentors and friends. JEN: Musa Tariq is insanely creative and has led brilliant projects while he was at Ford, Apple, and Nike. I admire his innovative approach to brand-building, and beyond that, the career path he’s taken — he’s continued to follow the things he’s been curious about, and I’ve taken a similar approach throughout my career, pursuing my passions and taking on roles that allow me to do something new each time. STEPH: There are so many parts of the travel experience that can be improved, whether it’s what you travel with, how you get there, or what you do once you’ve landed. Our goal is for Away to be a leader in creating those solutions.We’ve seen a major shift in the way consumers are valuing experiences over things, and I hope we’ll continue to inspire people to travel more often and seek new experiences. JEN: There’s no play playbook for what we’re building at Away; we’re rethinking what it means to be a travel brand, so everything is always brand new and there’s no limit on what we can do next. We have a really tight feedback loop with our customers and have prioritized listening to what they’re telling us and using that to guide what we do next. Our community comes to us to share their issues in travel, with the trust and belief that we’ll be able to solve them, and because of that we’re constantly challenging the status quo of what we can do. STEPH: Don’t be afraid to take risks and embrace mistakes. Failure is the best way to ensure you’re always learning and iterating, and it creates great opportunities for personal and professional growth. JEN: Your career path isn’t going to be linear. I’ve always believed that and know firsthand because mine wasn’t traditional or linear by any means. I’ve never mapped out my career or felt the need to define what my long-term career should look like, and I think the idea that you don’t have to have it all figured out, or any of it figured out, has allowed me to take a lot of thoughtful risks in pursuit of what I’m most interested in doing. What’s a book/podcast/talk that’s had an impact on your thinking? Share a story with us. STEPH: Adam Grant’s book, “Originals”, was published right around the time we launched Away, so reading it for the first time then was especially relevant and interesting as we were building the business. Adam talks about the notion that great leaders should champion and pave the way for new and big ideas from anyone in the organization, encouraging originality and creativity, and we’ve always encouraged our team to adopt that same mindset and believed that everyone can come up with great ideas and run with them. JEN: I listen to a lot of podcasts like NPR’s How I Built This and Sophia Amoruso’s Girlboss because I’ve loved learning from other founders and hearing the stories of how different entrepreneurs approach her or his business. One of my favorite episodes of How I Built This is with Patagonia’s founder Yvon Chouinard. Yvon and his team have a really unique perspective on the power for brands to do well while also doing good for the world, which is something we think a lot about at Away, so I’m inspired by his vision and the good they’re creating in the world. 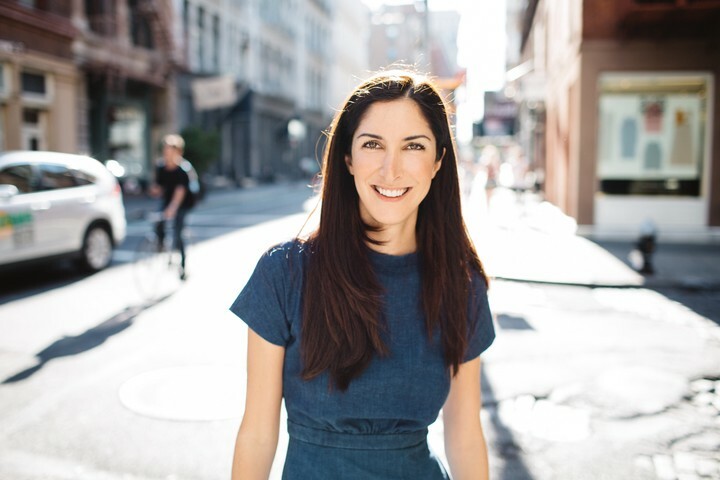 STEPH: I’m lucky to have worked with so many great people who I still count as mentors and friends, like my old bosses at Warby Parker, Dave Gilboa and Neil Blumenthal, and I’m pretty busy these days so I’d love to just grab dinner and catch up with them! JEN: I’m consistently inspired by Angela Ahrendts and the way she and the team at Apple have approached the retail experience. They continue to evolve their retail strategy so that their stores are always responding to what their consumers are actually asking for, and like Away, their stores aren’t just a place to sell products, but to bring people together. In the same way that we think about the context around our products and what you can do with luggage, they do an great job of highlighting the amazing ways that anyone can use theirs. STEPH: You can follow me on Instagram or Twitter at @stephkorey, and Jen’s at @jennifer. Follow @Away on Instagram and Twitter!